PMQs began with both leaders arguing about how many immigrants are entering the UK. The assumption appears to be we that don’t want more people in the country, if that’s the case then both parties have failed; the Conservatives more recently. Luckily both leaders’ were saved by Farage, who had used his flagship speech earlier in the day to scrap his proposed 50,000 quota, and now looks as confused as everyone else, about immigration control. But during this session Cameron came out looking worse. Miliband said the PM had promised “No If’s, no buts” that immigration would be down (it’s up 298,000), and the electorate could judge him on that If he didn’t deliver in five years – a call to vote him out if it was not met. Oh dear. In desperation, the PM said that immigration numbers rising was only indirectly his fault. He had made the economy so strong that he couldn’t stop people coming here. He then listed all the things he had got right. He mentioned so many things, the list was endless. I expected him to say “I fixed the leaking tap in Sam’s en-suite”. I must admit I wrote this the following day after PMQs, as to be honest, I had something less painful (dental treatment) to participate in. It now appears the PM will take part in one debate, featuring seven/eight parties, before the election campaign begins – Ed demanded to know if Cameron would be there on the 30thApril for a live debate. The PM said he debates in the chamber every week, so why bother with another. We need the debates as the PM increasingly answers less questions than ever during PMQs (whether anyone will answer any questions in the debates is also a valid point) . For example, today Kahlid Mahmood, Lab, asked why the PM had failed to answer any of the previous PMQs questions about the appointment of Lord Green. The PM said he had answered the question last week (for those who missed last week’s instalment…he didn’t). If Miliband is such an abject loser, as Cameron points out whenever he has the chance, he should relish the chance to take him on. He should demand a debate every evening; it could replace the One Show. I can’t imagine the proposed crowded TV debate being any more than an unruly affair, which can only damage politics in general, rather than individual members. Cameron will know from the last debates the PM is likely to lose support from the broadcasts. Remember “Clegg-mania,” which I have filed in the same cringe-box alongside calling my male History teacher Mum, in front of the whole class when I was 15. The broadcasters have said they might “empty chair” Cameron for those debates. So we could be blessed with 120 minutes of Ed in his purest form. He could read Das Kapital backwards, learn to moonwalk or butcher, cook and eat a whole pig and probably still forget to mention the deficit. 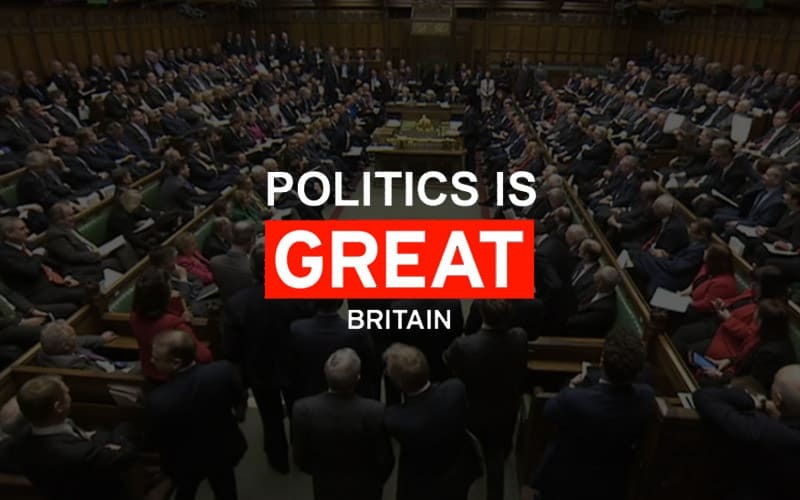 Back at PQMs David Ward, Lib, asked whether he thought the two leaders’ performance at PMQs enhances or diminishes the public’s perception of parliament, and Cameron said it is a “robust exchange, to ensure accountability – members can ask the PM whatever they want”. But regardless of the platform actually getting any answer seems increasingly unlikely. Andrew Griffiths, Con, who praised the PM because beer sales are up. Celebrating the long term economic plan or drinking away the pain? The only party leaders relevant to this particular debate must be the ones who want to function within a United Kingdom government, surely? Any players whose prime job-description is to leave the United Kingdom have made themselves irrelevant to this beauty contest. So, a re-shuffle of chairs would see the SNP exit stage left and the DUP enter stage right. Sorted. Or is that just a bit too straightforward for our broadcasters, who, distracted by their thinly disguised anti-Cameron political agenda, have failed to organise an entertaining diss-up.